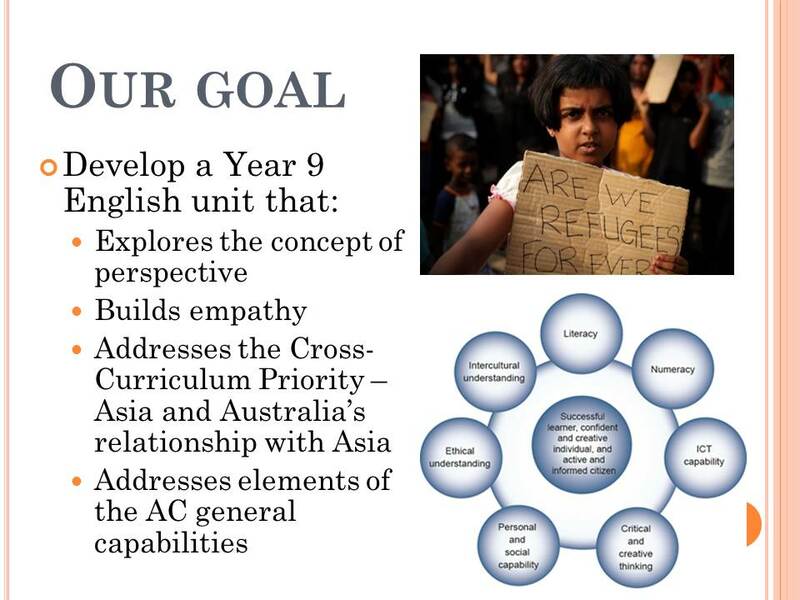 In planning the implementation of the new NSW English Syllabus for the Australian Curriculum last year, our faculty program writing team decided that we needed a unit for Year 9 with a focus on the concept of “perspective”, particularly to develop our students’ sense of empathy. We wanted the unit to explore the cross curriculum priority of Asia, and Australia’s relationship with Asia, too. With these considerations in mind, I put to the team the idea of creating a unit based on the refugee experience. As many asylum seekers in 2014 are coming from Sri Lanka, and other parts of the world very often through Indonesia, Australia’s relationship with Asia in relation to our refugee policies is highly relevant. Added to this, despite being a large metropolitan high school, with students from varied cultural backgrounds, including refugees, many of our students have limited empathy for the experience of asylum seekers coming to Australia, particularly refugees arriving via boat. Comments like, “They need to wait their turn”, “What are they complaining about?” and “They have their own tropical island!” are common, and I have even heard these comments from students who arrived in Australia as refugees themselves. How do the values and attitudes of our society influence our personal attitude towards refugees and asylum seekers? How are we manipulated by texts to hold certain views about refugees and migrants? Why do governments/organisations/journalists/writers/media outlets represent refugees and migrants in particular ways? Why is it important to understand the refugee/migrant experience? Obviously, engagement in the refugee issue is important for this topic. The vast majority of Year 9 students will not be immediately interested – in fact the issue may elicit negative reactions. Most students will need to be “hooked” into the topic. When I initially wrote the unit, Anh Do didn’t come until the end, in Week 5, as a refugee voice. That all changed when I put together a presentation for TeachMeet Asia (#TMAsia) earlier this year. What I discovered when preparing my presentation was that Anh Do’s experience was not only an important “Asian” element of the unit, but that his character is one of the most engaging elements of the unit, particularly for Year 9 students. He is a familiar face for students, a big, friendly personality, and he uses self-deprecating humour to share his refugee experience, which teaches students a little of our recent history, too. Thus, the experience of Anh Do became the focus for my presentation, and the “hook” into the unit. 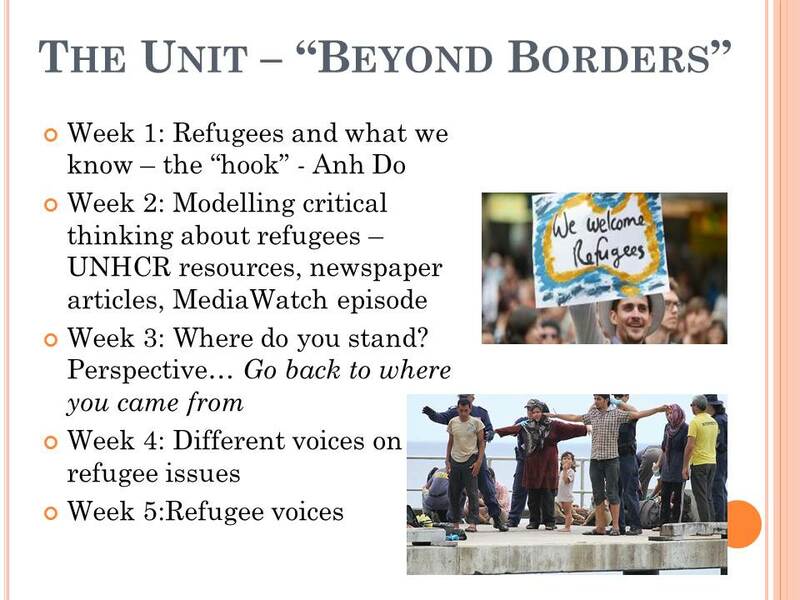 Preparing for TeachMeet made me rethink the unit, and rather than coming only at the end, Anh Do now bookends the unit – providing the “hook” as an accessible refugee perspective, and solidifying the refugee voice towards the end. You can view the whole presentation below. I have presented it twice now: at TeachMeet Asia, and the Asia Education Foundation National Conference (#AsiaEd14) in June, which I was invited to after meeting AEF Director Lisa Hayman at TeachMeet Asia. There are some great short clips of Anh being interviewed on Aussie television. I like his spot on Adam Hills: In Gordon Street Tonight as a snappy, funny intro to Anh and his experiences. This is the clip I have used near the beginning of the unit. It’s important to note that I found some excellent NSW resources already in existence in the creation of this unit. The NSW DEC Curriculum Coordination and Leadership Team, with teachers from Billabong High School, created an amazing unit called “In Their Position”, with a focus on the refugee experience, which is available through the DEC Intranet. It wasn’t exactly what we needed for our context, but had some great activities, so “Beyond Borders” uses and adapts some ideas and resources from that. Thanks also to Paula Madigan and the team at Coffs Harbour High School, who created a unit called “No Turning Back”. Paula presented this at the ETANSW 2013 Conference in collaboration with Viviana Matiello. Ideas and activities have also been drawn from this unit. Go Back to Where You Came From is a key text for this unit, in addition to some UNHCR resources on refugees, a Media Watch episode, “False Facts Fuel Fear”, which examines Today Tonight’s representation of asylum seekers, and newspaper articles. The Hot Potato is an excellent website to bust some refugee myths with students. I use Anh Do’s picture book “The Little Refugee” as a refugee voices text, as well as the short film “New Boy” by Steph Green, which beautifully explores the school experience of a young African refugee recently arrived in Ireland. I’m really proud of the visible thinking tools I have integrated into the unit, including guided annotation and “Traffic Lighting”. All the resources are available in the resource document. I’m also really proud of the speaking assessment that I created for the unit, which uses a Socratic Circle and panel discussion as less formal speaking activities. 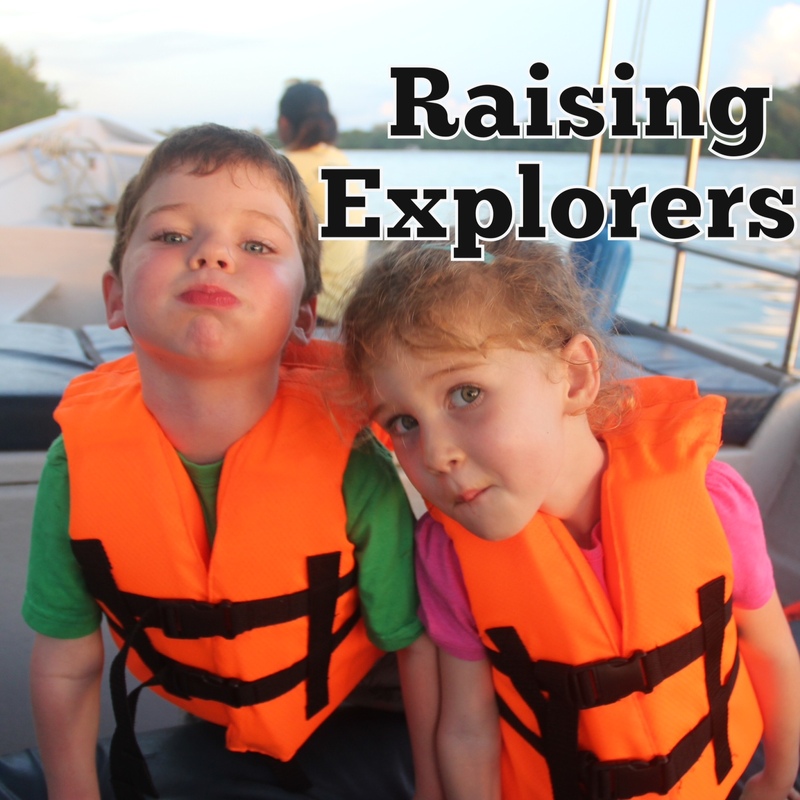 This task has a focus on the Australian Curriculum’s assessment FOR and AS learning, including peer- and self-assessment, for students to reflect on their learning and engage more deeply with the outcomes by assessing the learning of others. This kind of metacognitive activity is highly valuable for students to apply a growth mindset and strive to constantly improve. You can check out the full task out here. An essential element of the program is that students reflect online at key points on a class blog, like Weebly, or Edublogs, in an Edmodo group, or a Moodle forum. I’m a massive fan of the benefits of blogging to improve writing, both for writers and readers/commenters on posts. I am currently supporting staff in the implementation of this aspect of the program. I’ve put a sample blog page on my Weebly website for our faculty to see how it might look. Visit the teaching resources page of the Beyond Borders site to download the full program and resources for the unit if you’re interested in finding out more. I’m so excited to see this unit in action. I just wish I was teaching year 9 myself! Well done on writing an amazing unit and being such a leader of innovative teaching tools. Our faculty is lucky to be the recipients of your enthusiasm, both for this topic and for the meaningful incorporation of authentic ICT experiences for students.